Beloved mother, grandmother, and friend passed away October 5, 2018. Virginia was born July 24, 1934 in Brooklyn, MI to the late Andrew and Rose (Hoboda) Duncan. She was also preceded in death by her husband, Kenneth Leonard Perkins; daughters, Laura Jane Hansen & Sandra Kay Perkins; and siblings, Fern Tymensky, Duane Duncan & Joy Burkhart. 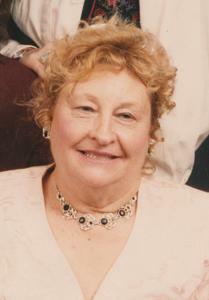 Virginia was a longtime faithful member of Community of Christ Church. She loved driving and always looked beautiful inside and out. Virginia is survived by her children, Diane (Phillip Jeluso) Maciborski of Sheridan, Patty (Richard) Amberman of Grand Rapids, Edith (Ray) Shepherd of Herriman, UT, Jeffrey (Ronda) Perkins of Oak Grove, MO; 10 grandchildren; and 15 great grandchildren. Also surviving is her brother, Jimmy (Nancy) Duncan of Lansing; and many nieces, nephews and friends. The family expresses great appreciation to all who helped with Virginia's end of life care. A funeral service will be held Monday October 8 at 11 AM at Community of Christ, 4875 Palenque Place NE. Friends may visit with the family beginning at 10 AM. Interment will be in Surrey Township Cemetery. Please visit Virginia's web page to leave a memory or condolence at www.lifestorynet.com.